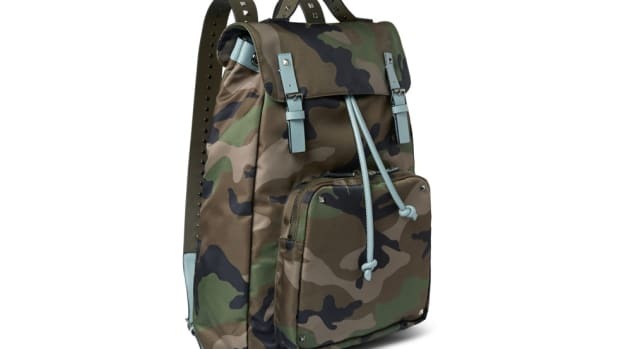 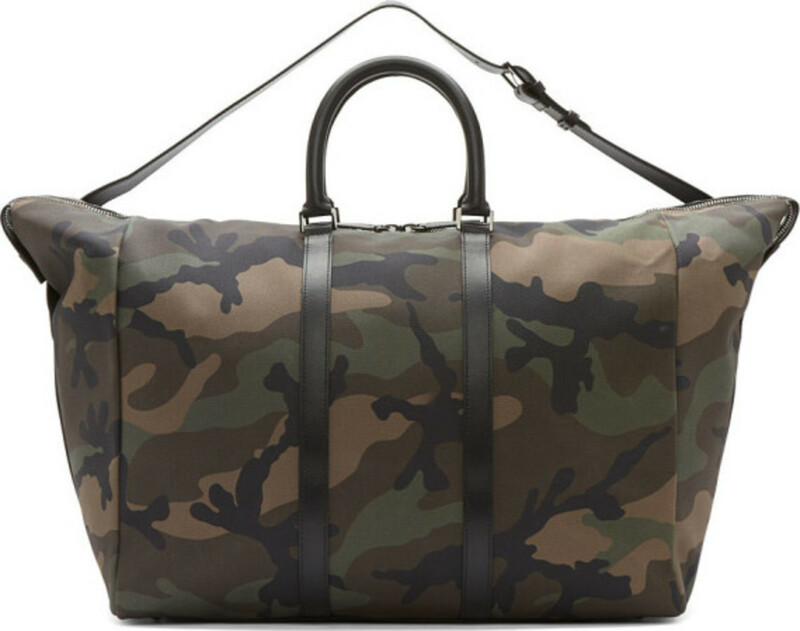 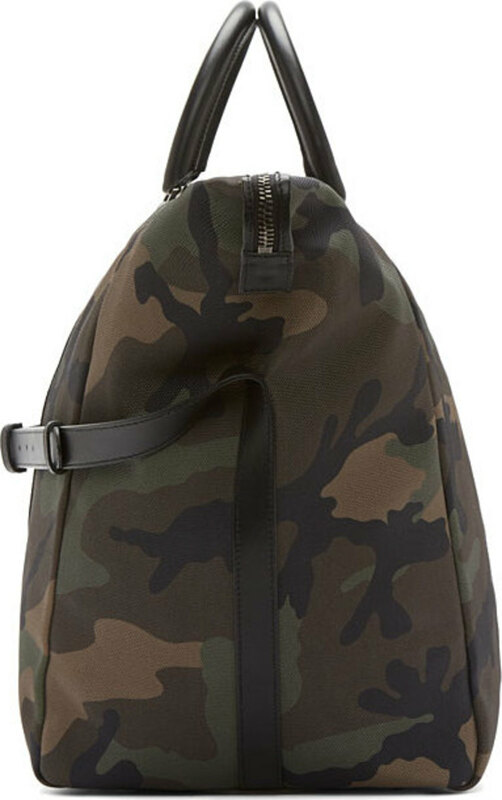 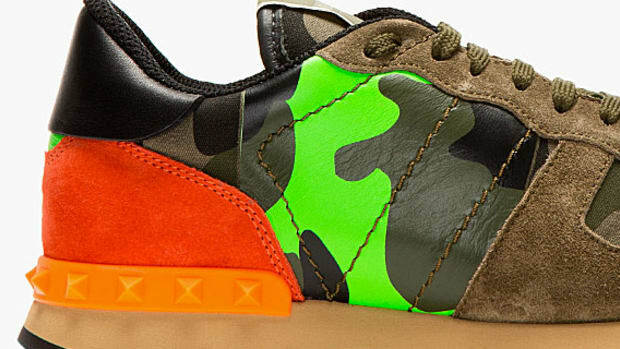 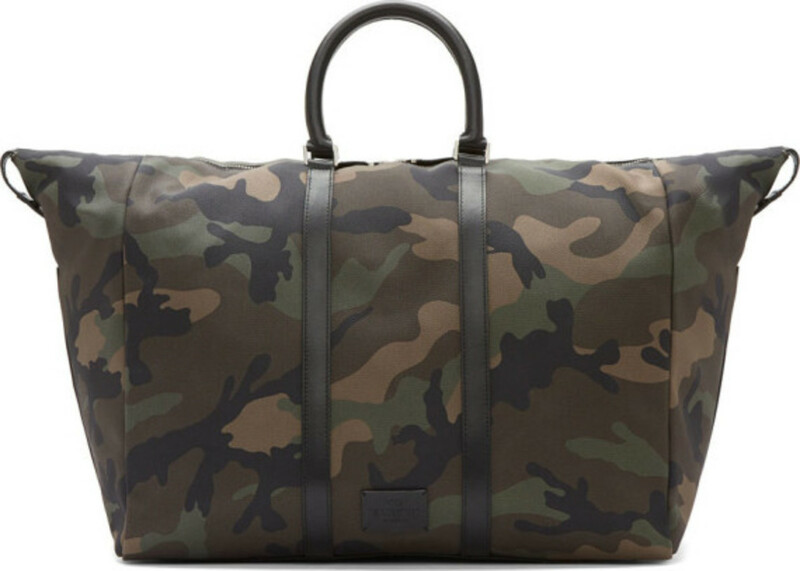 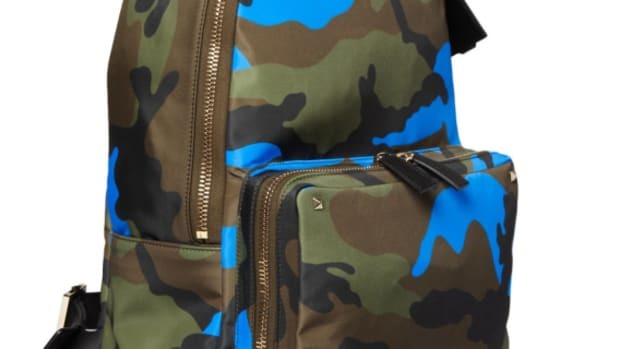 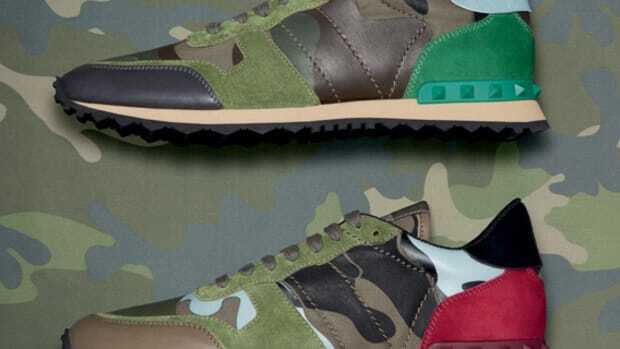 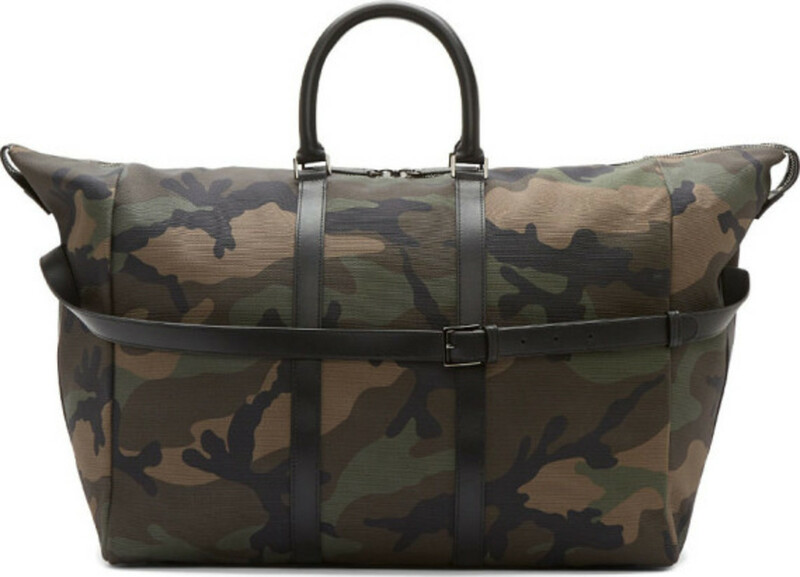 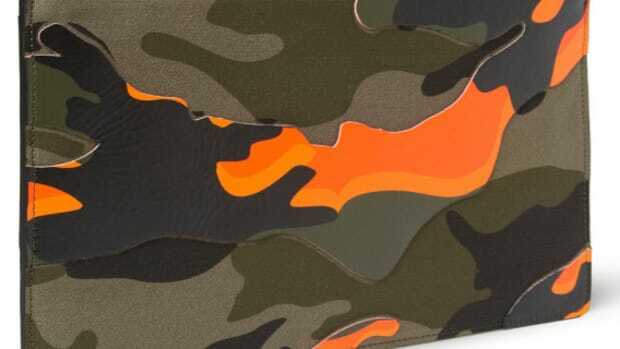 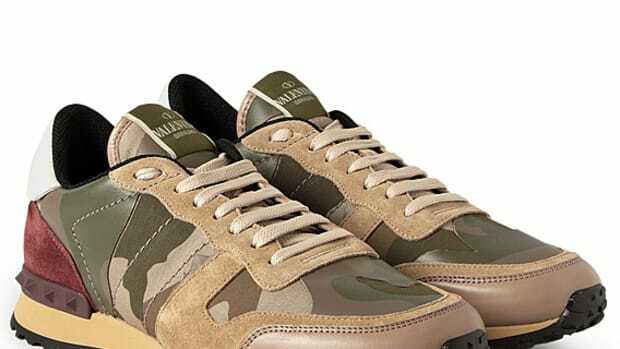 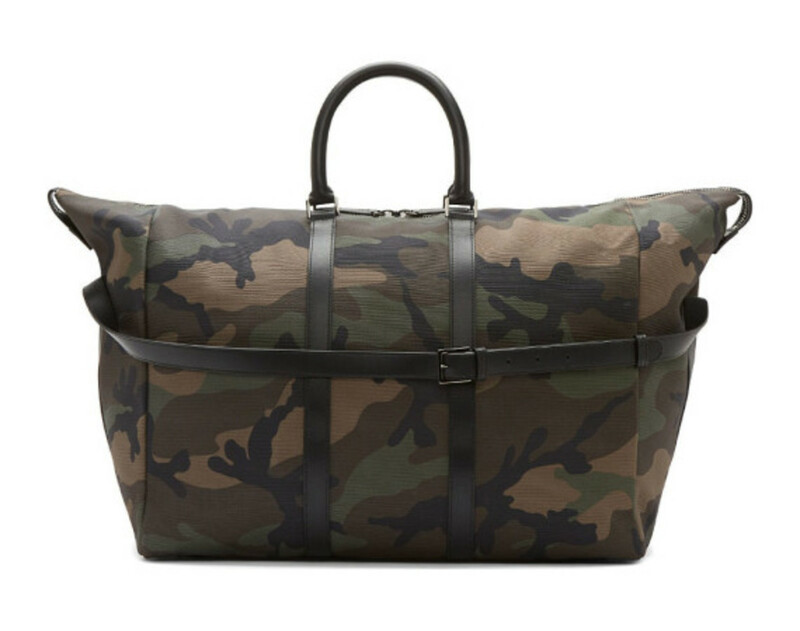 A surprising departure from its current “Fluo Camouflage” Collection, this Valentino Weekender Bag returns to the more familiar (and traditional) woodland camo. 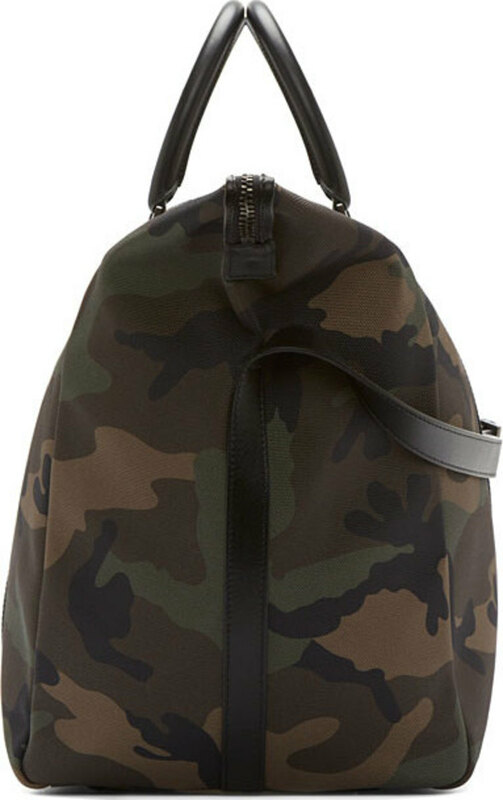 An offshoot, like so many others, of the original ERDL pattern developed by the U.S. Army, this new bag had Valentino creative directors Maria Grazia Chiuri and Pier Paolo Piccioli adding several luxurious twists, such as gunmetal-colored hardware and rolled leather carrying handles. 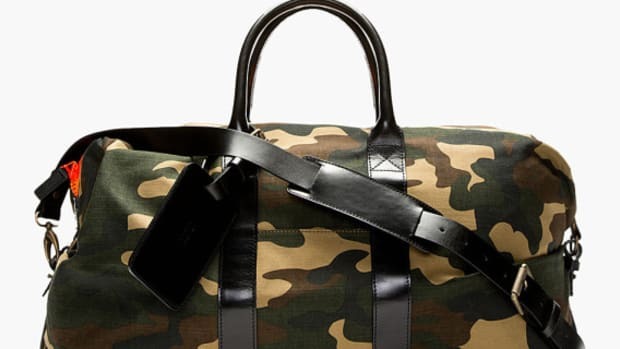 In printed fabric reinforced with leather trim, the Valentino Camouflage Textile & Leather Weekender Bag is available now through SSENSE online boutique.